Sustainability may come to define the 21st century. It challenges us to meet present needs without compromising future generations. It pushes us to preserve ecological balance. It inspires us to achieve harmony with the natural world. In the cannabis industry, sustainability is a complex conundrum. Bryce Berryessa, founder of Treehouse, Waxman Concentrates, Hashman Infused, and La Vida Verde, has demonstrated commitment to sustainable practices over the last 13 years. He shared his insights on cannabis sustainability, present and future. Consumer health and good business are fundamental for industry sustainability. Regulation and testing requirements attempt to balance both. California enacted phase III testing requirements on December 31, 2018. All cannabis products must now undergo batch-testing for a wide range of potential hazards, including pesticides, microbes, and heavy metals. Heavy metals do seep from vape cartridges, and analysts have discovered lead in cartridges sold at California dispensaries. Berryessa points to high terpene content as the domestic variable. The volatile yet beneficial compounds may pull heavy metals from cartridge components. “Some of the higher concentrate cartridges and oil blends that have a high volume of terpenes are probably going to slowly disappear from the market because it’s likely that there will be a correlation between high terpene oils and failure rates… they are impact dissolvent.” This dissolvent effect appears stronger with time, and rapid market availability is a current short-term strategy. The way forward is not backward. New technology can serve sustainability. Indoor cannabis cultivation, in particular, must maximize efficiency to control costs. Cultivators are investing in monitors for all growth parameters, including uptake of CO2, responsiveness to the photoperiod, and humidity in leaves. Companies now use artificial intelligence, virtual reality, and plant sensors. As such technologies proliferate, they become more affordable. On the extraction side, Berryessa points to environmentally-friendly innovations like rosin. Required testing for solvents also pushes processes in the right direction. Indoor cannabis is aesthetically pleasing, but outdoor cannabis is sustainable. Organic agriculture is the future of environmental and human safety. Organic cultivation abstains from artificial pesticides and fertilizers. Berryessa founded the nation’s first Enviroganic-certified farm, and his current company, La Vida Verde, incorporates 100% organic ingredients in edibles. For those interested in organic cultivation, he recommends the classic two-forked road: education and experience. Cannabis is a powerful and safe plant. Without advocacy, it could not have escaped the confines of absolute illegality. Without advocacy, the thick veil of propaganda, fear, and misunderstanding could not have been pierced. Without advocacy, there could be no discussion of sustainability. What does it mean to be an advocate? Sustainability is neither a fad nor a holy grail. It is a pressing reality. 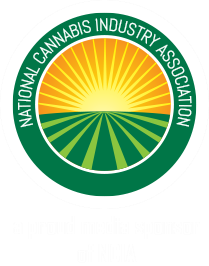 Cultivators, extractors, and manufacturers must drive the industry into groundbreaking territory. Sustainability demands organic and safe cannabis, extraction with environmentally-friendly techniques, and cultivation with minimal resources. Bryce Berryessa, renowned leader across cultivation, extraction, and retail sectors, leaves us with words of wisdom. “My hope is that the companies that are the most successful are the ones that value more than just profit. They value the health of their employees, they value the vibrancy of their communities, they value how they interact in the world, they value business that that is ethical and transparent. They are successful because they are embracing a new paradigm in business. Downs, David. “California Cannabis Labs Are Finding Toxic Metal in Vape Carts.” Leafly, 25 Jan., 2019. www.leafly.com/news/health/california-cannabis-labs-are-finding-toxic-metal-in-vape-carts.